Having a wildlife-friendly garden is a wonderful experience for all ages. To ensure your garden is safe for all creatures, DO NOT USE PESTICIDES. Grow your garden in harmony with nature, not against it. Here are some tips to grow naturally. 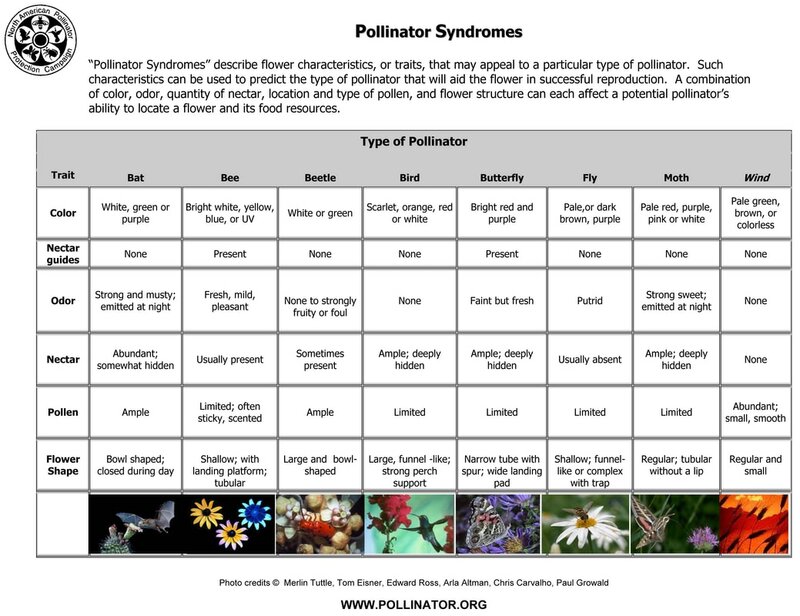 If you see insects on your plants, take a minute to actually examine what they are doing. If they are just nibbling a little bit, don't start scheming an attack. Most plants can actually sustain minor insect damage. If the insects are eating a plant that was sickly to begin with, consider letting them have that one and put your energy into the ones that are healthy enough to resist insect damage. 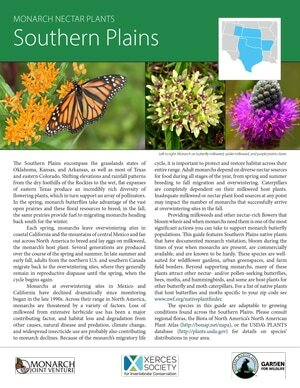 Consider growing plants that are native to your area. The native species are the ones that are genetically ready to deal with natural predators in your garden. 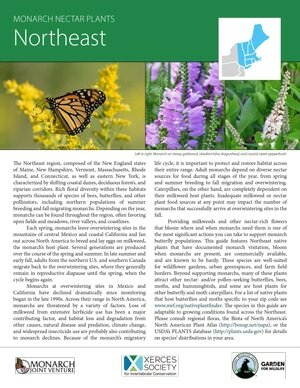 Native plants make beautiful, functional and environmentally smart additions to any type of garden. 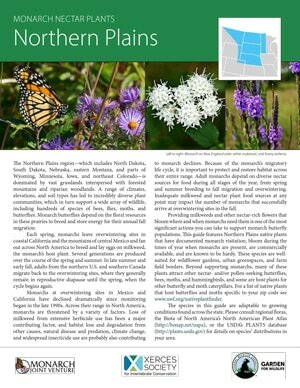 For starters, native plants and animals are part of a region's web of life. All living organisms are interdependent and a part of this complex system. The quality of the air we breathe, the soil in which we grow our food and the water we drink is affected by the health of this natural system. As more land is developed for roads, industry and homes, we are altering the balance of this web. 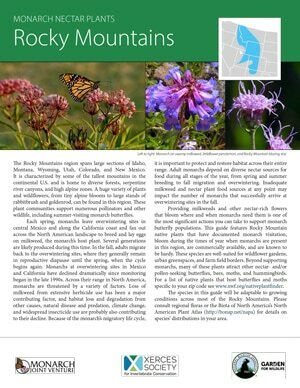 By planting native plant gardens, you can help to preserve the native plants that are disappearing from our natural areas as well as create small oases for the wildlife in our neighborhoods. There are many beneficial animals that feed on insects harming your plants. 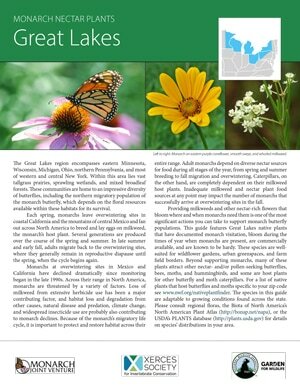 These include ladybugs, praying mantids, ambush bugs, lacewings, robber flies, assassin bugs, ground beetles, birds, frogs and lizards. Keep a small water source near your garden, even if just in a small bowl, and change the water regularly. 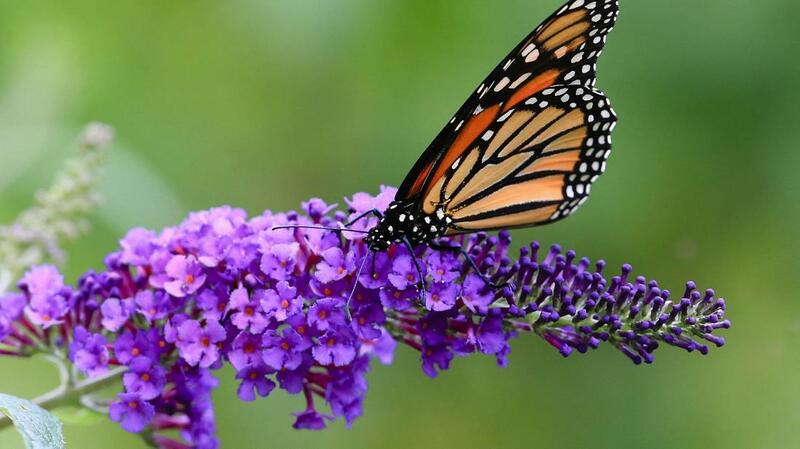 Grow plants with small blossoms like sweet alyssum and dill, which attract predatory insects who feed on flowers' nectar between attacks on pests. If none of the above works, you can try natural products that affect specific insects, won't harm humans, pets or wildlife, and that degrade quickly in the environment. Among the best of those products isÂ Bacillus thuringiensis, a naturally occurring bacteria that you apply to your plants to disrupt the digestion of caterpillars and other leaf-eaters. Be sure to identify the pest positively before you buy this product because each strain of Bt affects specific kinds of insects. Horticultural oils, insecticidal soaps and garlic and/or hot pepper sprays also work well against many pests. 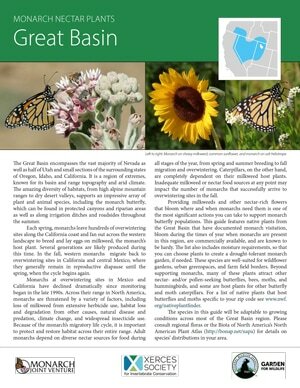 Before gardeningGather your supplies and research what varieties of milkweed and wildflowers are native to your area. 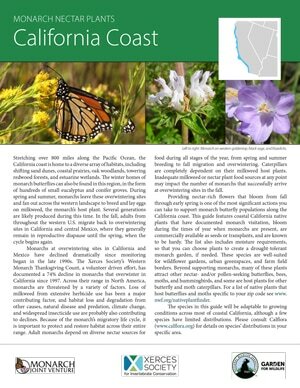 You can also look up pollinator-friendly plant lists for your region. If you’re starting from seeds, find a local seed supplier. Choose your location: Butterflies enjoy basking in the sun. Gardens should be planted in sunny spots, with some protection from the wind. Take a look at your soil: Break ground to see the consistency of the soil in your yard. Soil may influence the kinds of plants you can grow, or may require special considerations. If you find that your soil type doesn’t match the plants you’d like to plant, you might consider building a raised bed or using flower pots. Prep your soil: If you’re planting in your yard, remove the lawn and current plant cover and rake the soil. Additional dirt can be helpful no matter the location and is necessary for raised beds and flower pots - add your soil to the bed or pot. 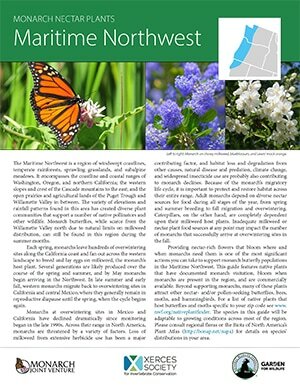 Choose your plants: Find a nursery near you that sells native and local plants and milkweed for your area. 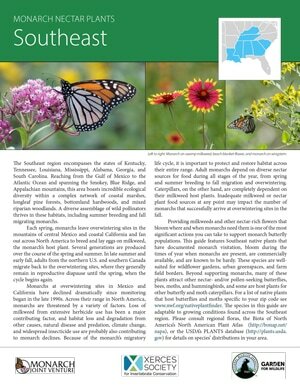 Native plants are the ideal choice because they require less maintenance and tend to be heartier. 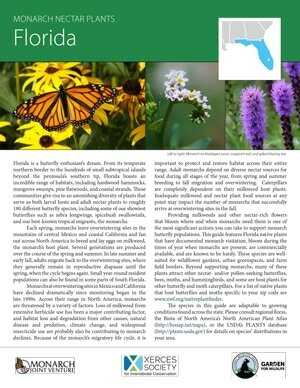 Choose plants that have not been treated with pesticides, insecticides or neonicotinoids. Plant perennials to ensure your plants come back each year and don’t require a lot of maintenance. 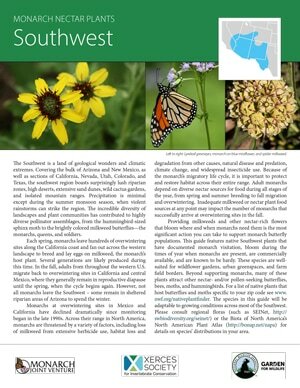 Choose a diversity of plants that bloom throughout the seasons to ensure pollinators benefit in the spring, summer and fall. This will also ensure that your garden is bright and colorful for months! 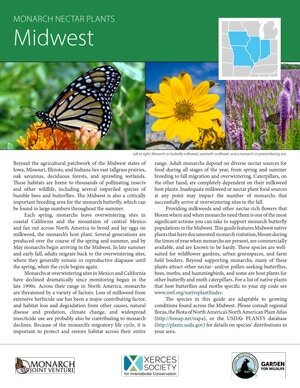 Choosing seeds or small plants: Small plants that have already started growing in a nursery are simple and show instant return on pollinator visits, especially if you are planting in a small space. Seeds are best if you have more time. If you’d like to use seeds, plan ahead to plant in spring or fall, giving the seeds time to germinate. Seeds can also be best if you are doing a very large garden as they tend to cost less. Remember to water your seeds even before you see plants. 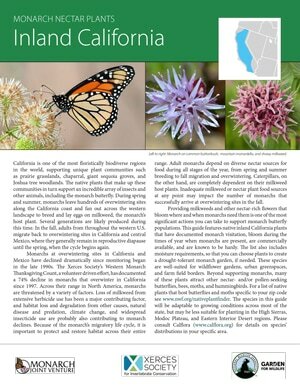 Plant your flowers and milkweed: For small plants, dig holes just big enough for the root system. Cover the roots with dirt and reinforce with dirt or straw mulch to reduce weed growth. For seeding, spread seeds across your freshly prepared garden and cover them with dirt. Consider adding some flat rocks so butterflies can bask in the sun! 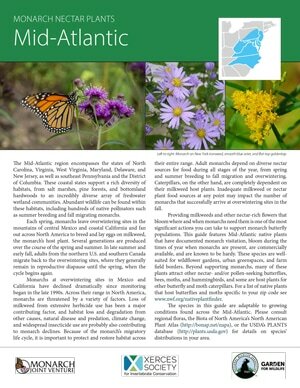 Wait, watch, water and weed your garden: It may take some time, but you will eventually see butterflies and other pollinators enjoying your garden. Make sure to weed and water your garden to keep it healthy. Notice that butterflies like bright red and purple, but we believe yellow may also be a color they like and maybe even white. Found this incredible website with lots of plant ideas from flowers to shubs. make sure a plant grows well in your area too.